Beclin 1 antibody recognizes beclin 1, also known as ATG6 autophagy related 6 homolog, or coiled-coil myosin-like BCL2-interacting protein. Mouse anti Human beclin 1 antibody recognizes beclin 1, also known as ATG6 autophagy related 6 homolog and coiled-coil myosin-like Bcl2-interacting protein. Beclin 1 participates in the regulation of autophagy and has an important role in development, tumorigenesis and neurodegeneration (Zhong et al., 2009 (PubMed 19270693)) (supplied by OMIM, Jul 2010). 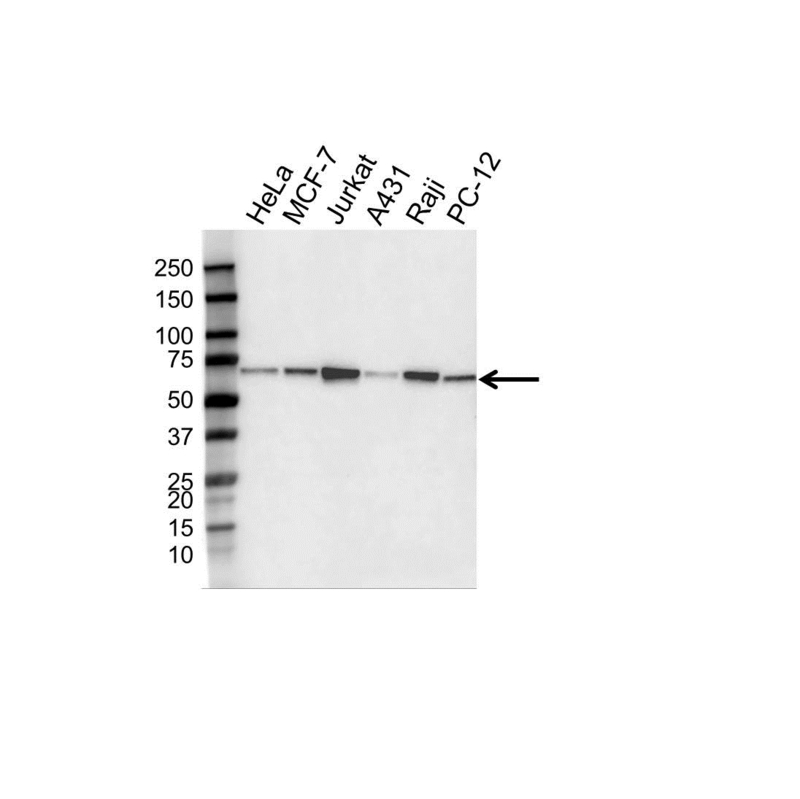 Mouse anti Human beclin 1 antibody detects a band of 60 kDa. The antibody has been extensively validated for western blotting using whole cell lysates.